It's a Group Effort, 9780998373102, 90pp. 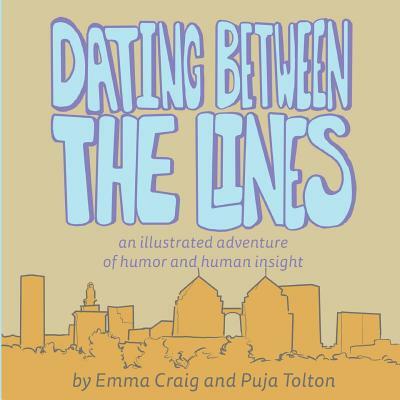 Dating Between the Lines is a book of illustrated pick-up lines and quotes from lovely, everyday folks with their insights on love and life. We created this book to be a source of comic relief for folks (ourselves included ) during those times that dating and relationships feel like a murky sea of confusion and self doubt. We want you to have a space to think deeply about this dating stuff, while keeping a sense of humor. We are so proud to say this book is community created. Our pick-up lines are from brainstorming sessions with friends, and quotes are from interviews with lovely, everyday folks. Many illustrations feature local businesses of Oakland, our home base, and we are funded by the generosity of our crowdfunding campaign. ​Puja is the illustrator of Dating Between the Lines. She creates incredible art when no one is looking, wowing Emma and everyone around. She loves illustrating, acting, and being a dope barista. She makes the best almond milk mocha in the world, no exaggeration. A very talented lady, that Puja Puja hails from the Blue Ridge Mountains of Virginia and currently resides in Oakland, CA.